Activists might no longer be allowed into the downtown park which previously was used for demonstrations. For several years, the centrally located square on Leningradskaya Street has been used for public meetings by opposition groups. The area, popularly referred to as the Murmansk «Hyde Park» has provided a welcome space for gatherings. The square also a memorial monument for victims of Soviet oppression. This was where presidential hopeful Aleksey Navalny in September this year assembled several hundred young people in his anti-corruption protest. Now, new regulations might limit the number of groups allowed into the area. According to local prosecutors, the square is an object of cultural heritage and therefore subject to special regulations. They say that local authorities have failed to meet regional and federal law when up to now have offered the area for meetings, ovdinfo.org reports. From now on, all meetings on the square will have to be coordinated with the local Committee of Culture and Arts. The Committee will have to provide a «reasoned conclusion» on whether or not to allow a public meeting in the area, a decree from the prosecutors say. 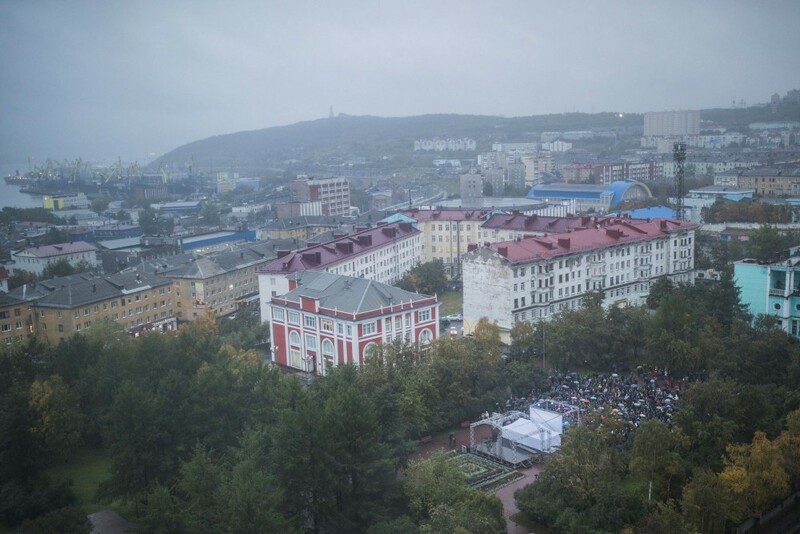 Murmansk is not the only place where the authorities are tightening the space for opposition groups. The same is happening in Karelia where Governor Artur Parfenchikov recently decided to close two sites for public meetings in regional capital Petrozavodsk, Chernika reports. According to Aleksey Navalny, the measures are all taken in order to limit opposition activities ahead of the March 2018 presidential elections. «I am forced to acknowledge that my gatherings with the electorate in the form of sanctioned meetings are not longer possible», he informed on 1st November. «They simply are not giving us permissions». According to the opposition politician, the rejections are all orchestrated by the Kremlin. «The majority of politically active people are behind us, and this is frightening Putin. Therefore he is afraid of letting me run for the presidency». Navalny is now taking Putin and his presidential administration to court. «In court we will present exhaustive proof that the city administrations all over the country are acting in coordination, synchronically and on orders from Moscow», he says.